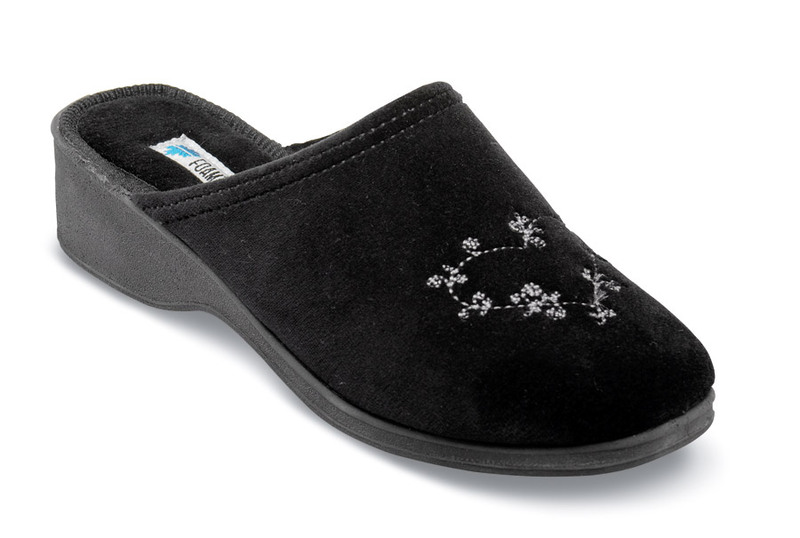 A soft, stretchable upper of floral embroidered velour and flexible wedge sole make the new Sara slide slipper from Foamtreads so comfortable, you may want to wear them all the time. 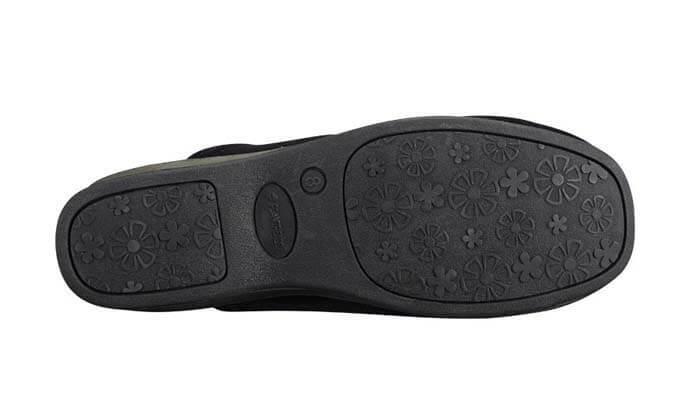 Cushioned insole and 1½-inch heel height. Originally $59.95. Limited stock in women's sizes shown in an extra-depth XW width.